Alex Zanardi – 1997 CART champion, 1998 CART champion. 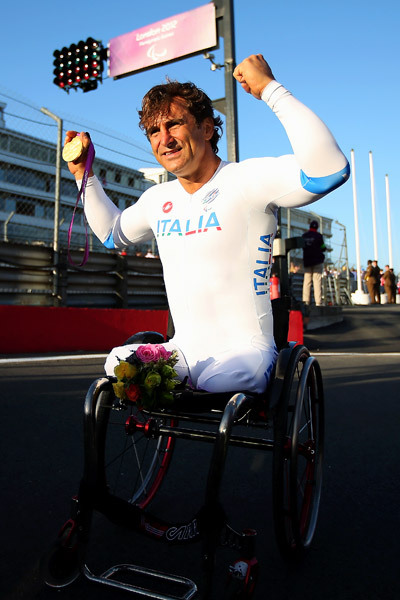 Alex Zanardi – 2012 Paralympic gold medalist (handcycling TT). The story of those intervening years is nothing short of remarkable. It shows the triumph of human spirit as a phenomenal race car driver lost his legs, almost lost his life, but never lost his will. In London, Alex found his way back into victory lane. AZ, you are a BAMF!